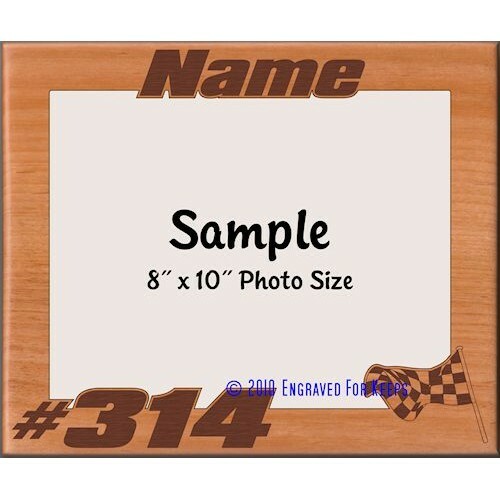 This racing frame says it all whether the sport is motorcycle road racing, go kart racing, sprint car racing, stock car racing, midget, formula, pee wee racing, dirt bike racing, motocross, supercross, cycle, truck racing, lawn mower or any other form of checkered flag racing. 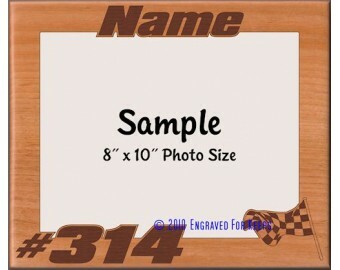 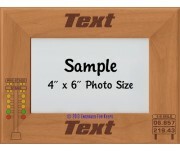 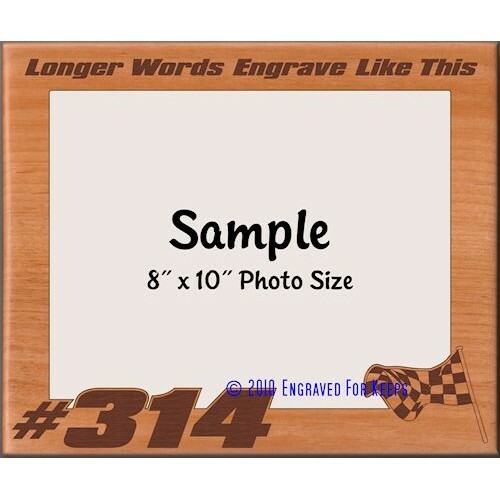 The name is engraved with a racing style font and cut along the top of the frame, while the race number is engraved and cut along the lower left corner of the frame. 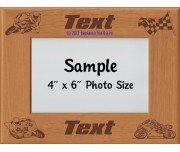 The checkered flag is engraved and cut into the lower right corner of the frame. 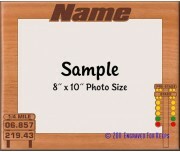 At no extra charge, the flag & numbers can be "flipped" left-right to accommodate your photo.